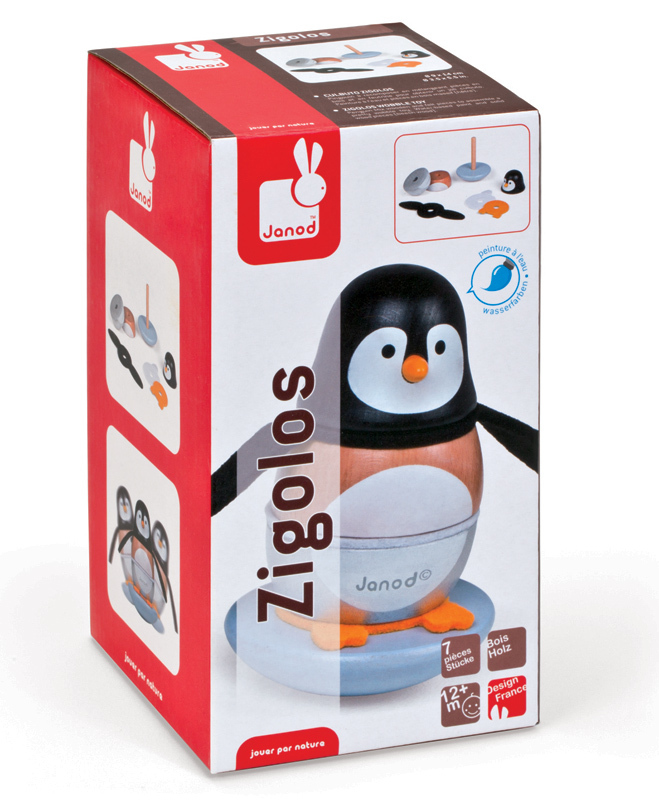 Crafted from solid wood this delightful roly poly penguin is great addition to the Janod Zigolo range. 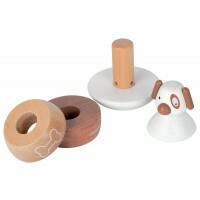 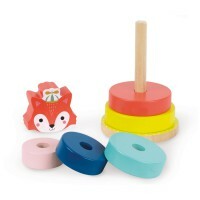 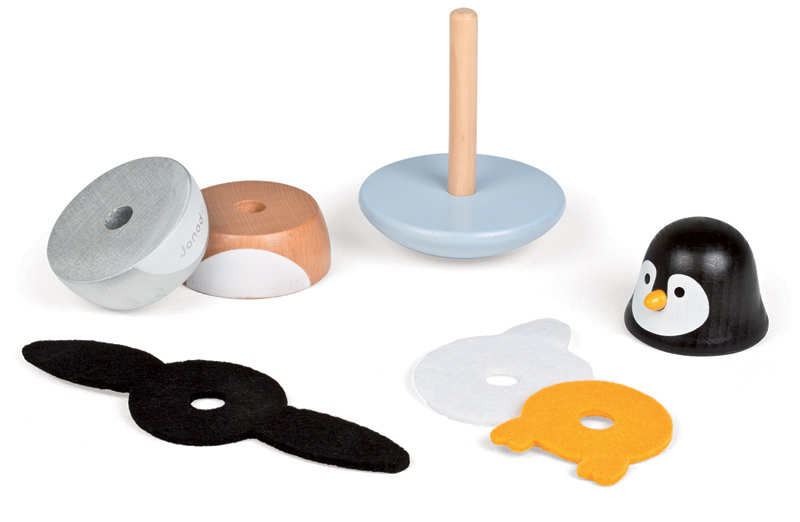 Stack his 4 wooden and 3 felt pieces together and then give him a little push to hear his tinkling bell. 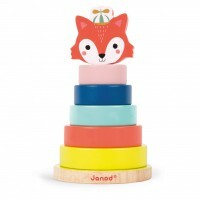 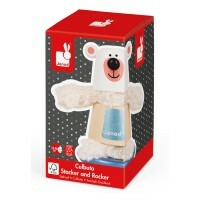 A charming toy to give for a first birthday or match to others in the range.